Nicki J Markus / Asta Idonea: Yet Another Mads Mikkelsen Drawing! Yet Another Mads Mikkelsen Drawing! 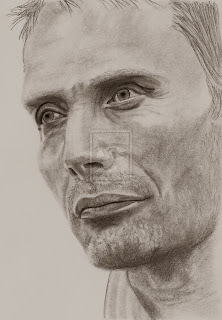 Yes, yet another sketch of Danish actor Mads Mikkelsen. He really is my muse at the moment!